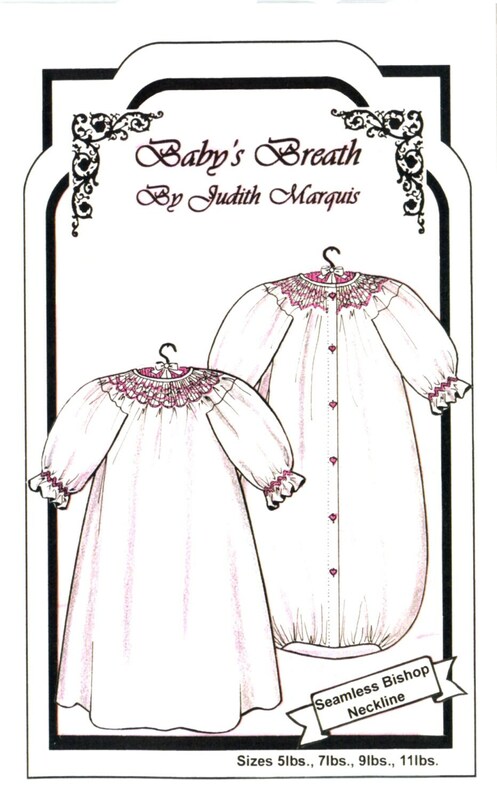 Once upon a time newborn babies came home from the hospital in a cozy, soft, tiny, smocked nightgown or bunting. This pattern is designed to carry on this tradition. It is seamless in the neckline area making the pleating super easy but has a unique set in sleeve. It comes in sizes 5, 7, 9, and 11 lbs. and was designed to be made in soft flannel or 100% cotton knit. Since it has no neckline shaping, it can be worn buttoned up the front or back depending on your preference. A bunting bottom is offered as an option. Three design plates are included along with tips and additional ideas at the back of the pattern. It is a joy to make for your new bundle of joy. 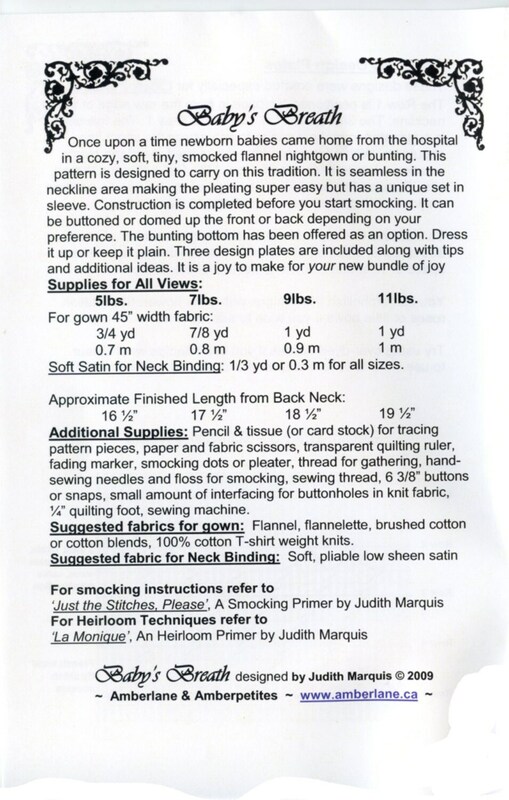 Construction is completed before you start smocking. Sizes 5, 7, 9, and 11 lbs.